Editor's Note: Jeffrey D. Sachs is Professor of Economics and Director of the Earth Institute at Columbia University. He is also Special Adviser to United Nations Secretary-General on the Millennium Development Goals. For more from Sachs, visit Project Syndicate or follow it on Facebook and Twitter. A famous claim in economics is that the cost of services (such as health care and education) tends to increase relative to the cost of goods (such as food, oil, and machinery). This seems right: people around the world can barely afford the rising health-care and school-tuition costs they currently face – costs that seem to increase each year faster than overall inflation. But a sharp decline in the costs of health care, education, and other services is now possible, thanks to the ongoing information and communications technology (ICT) revolution. The GOP presidential candidates sparred Tuesday night on national security, but there was at least one point of agreement among them, or at least between Newt Gingrich and Mitt Romney. “I think that we ought to have an H-1 visa that goes with every graduate degree in math, science and engineering so that people stay here,” said Gingrich. “I'd staple a green card to the diploma of anybody who's got a degree of math, science, a Masters degree, Ph.D,” said Romney. 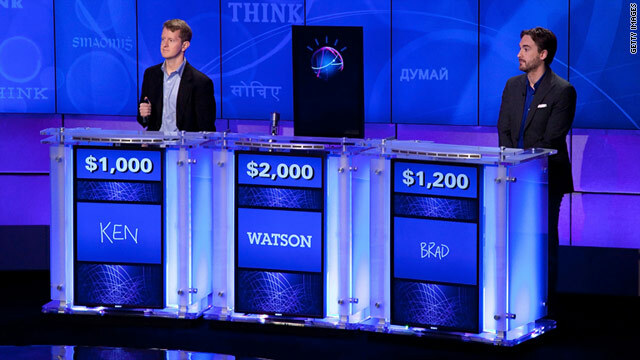 The candidates explained that keeping foreign-born students who study science, technology, engineering or math in the U.S. was an important step in creating new technologies, new industries and new jobs. The U.S. Census Bureau recently released a report on foreign-born bachelor’s degree holders living in the U.S. The numbers give some sense of how U.S. universities remain magnets for those seeking to study science, math or engineering. There are now 4.2 million foreign-born science and engineering bachelor's degree holders in the U.S., a number double the population of Houston, Texas, for comparison. Editor's Note: Martin Ford is the author of The Lights in the Tunnel: Automation, Accelerating Technology, and the Economy of the Future. For more, visit Project Syndicate or follow it on Facebook and Twitter. Nearly all economic forecasts agree that high unemployment in much of the developed world will most likely persist for years to come. But could even this dire projection underestimate future unemployment rates? Editor’s Note: Robert J. Hutter is Chairman of Edmodo, which aims to "help educators harness the power of social media to customize the classroom for each and every learner", as well as a Managing Partner of Learn Capital, a venture capital firm concentrating on the global education sector. The views expressed in this article are solely those of Robert J. Hutter. Technology has long had its supporters and detractors in K-12 education. But until recently, regardless of one’s view, technology has had a minor role to play in the everyday work of K-12 schooling. This is now changing at rapid speed. Advances in easily portable computing devices and the growing presence of wireless Internet access in schools have quietly worked to create a genuine tipping point that classroom educators are now leveraging to change the very scope of their ability to teach. 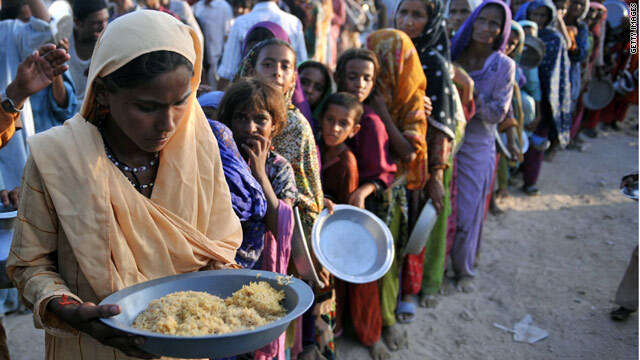 Flood-displaced Pakistanis receive food at a distribution point at an Air force relief camp in Sukkur on August 18, 2010. Editor's Note: Vishnu Sridharan is Program Associate in the Global Assets Project at the New America Foundation. This post is part of the Global Innovation Showcase created by the New America Foundation and the Global Public Square. Since July, at least 745 people have been killed and 8 million affected by monsoon rains and flooding across Southeast Asia. In response to the floods of the past week, a number of countries pledged assistance: U.S. Marines arrived in Bangkok last Saturday with equipment and sandbags; China has provided 64 rescue boats and water-purifying equipment; Japan has come forward with tents, blankets, mattresses and electricity generators. In addition to the provision of these ‘in-kind’ goods, however, Australia and the Philippines stepped in with a kind of aid that only a couple years ago was considered controversial: cold, hard cash. When it comes to taking risks, governments are notoriously reluctant. But in times of global economic uncertainty, it’s important to look beyond the short term. Debt reduction is necessary, but it’s not an economic cure all. Without fueling new ideas, long-term growth will stall. Investments are needed in new technology and infrastructure - expansive (and expensive) projects. Taking a risk requires brave decisions. Using technology to stop "cattle-rustling"
Editor’s Note: Sarah Arkin is a freelance journalist and a graduate student at Georgetown University. This post is part of the Global Innovation Showcase created by the New America Foundation and the Global Public Square. “We don’t steal cattle,” said Benson, a Maasai in the south of Kenya. Instead, he explained, they merely recover them. The Maasai believe that Ngai, their God, blessed the Maasai people with cattle “herding,” and only they are allowed to do it. Of course, the government of Kenya, not to mention other pastoralist tribes throughout the country who also rely on cattle and other livestock for their way of life, don’t find this a compelling argument. 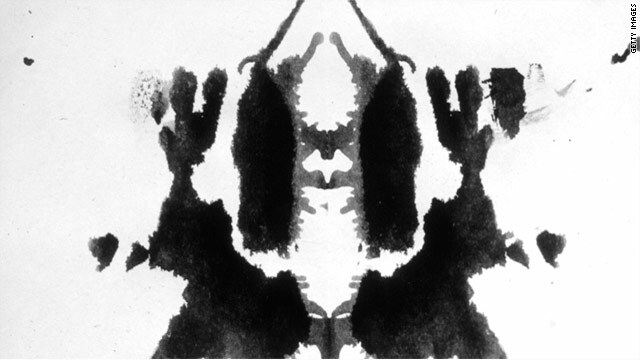 An inkblot pattern similar to those used in the Rorschach inkblot test, a test used in psychology to determine underlying personality structure. Editor’s Note: Adam Segal is the Ira A. Lipman Senior Fellow at the Council on Foreign Relations and author of Advantage: How American Innovation Can Overcome the Asian Challenge. He blogs at Asia Unbound. Editor's Note: John Kao, dubbed "Mr. Creativity" by The Economist, is the chairman for the institute of large-scale innovation and author of Innovation Nation. You can follow John on Twitter, Facebook and at www.johnkao.com. This post is the final of six pieces by John about his recent trip to China. Editor's Note: Bruce Katz is the vice president and founding director of the Metropolitan Policy Program at the Brookings Institution (follow him on twitter @bruce_katz). He is responding to the question: "What advice would you give a sixteen-year-old about how to prepare for the future U.S. economy? Where the jobs will be?" Get ready for a wild ride. The U.S. economy is restructuring from one characterized by consumption, debt and waste to one driven by exports (to take advantage of rising global demand), powered by low-carbon technology (to lead the clean energy revolution) and fueled by innovation (to spur growth through new ideas and production). So how can you succeed in the next economy? First, get educated. Our changing economy has created an iron law of wages: namely, the more you learn, the more you earn.